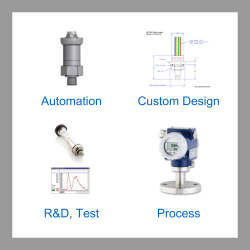 We have a requirement for measuring low pressure steam temperature and pressure by using a combined pressure and temperature transmitter with dual analog 4-20 milliamps, one for pressure and one for temperature. 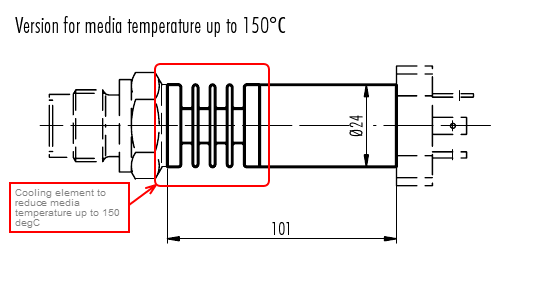 The steam pressure range will be from 0 to 4 kg/cm² g and the temperature range will be 0-150°C. Is there a product available which can do this? We would suggest the ATM/T which is an all-in-one pressure and temperature transmitter with the option for high temperature media such as steam up to 150 degrees Celsius. A range of 4 kg/cm2 gauge is very slightly smaller than 4 bar gauge, so we would suggest a standard 4 bar g range which can be calibrated precisely to 4 kg/cm2 during installation if necessary. Send us your enquiry for a product associated with this One transmitter for measuring steam temperature to 150°C and pressure to 4kg/cm² g page, and get assistance with selecting a product for your application.